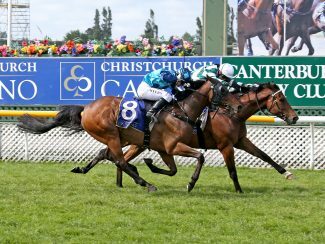 Just twelve months ago rider Sam Spratt was the toast of Riccarton after securing her first New Zealand Cup (3200m) with a daring front-running ride on outsider Gobstopper. 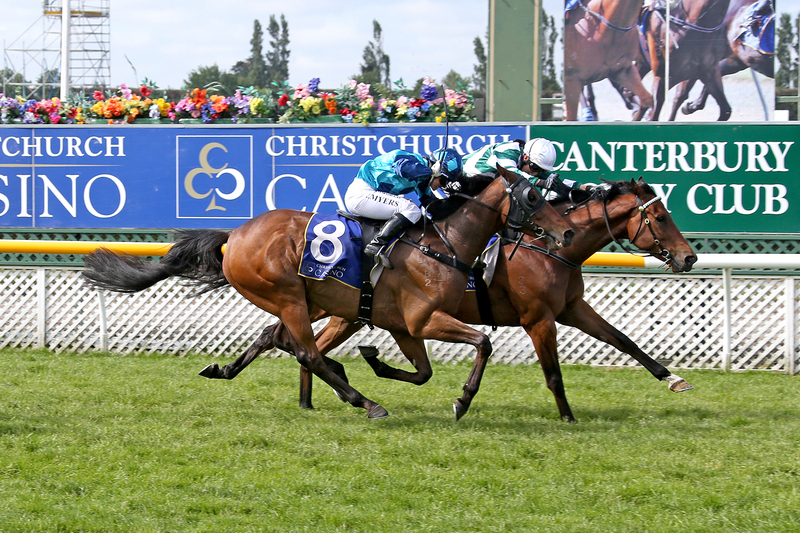 Fast forward to the 2018 edition of the Christchurch Casino sponsored, Group Three feature and you could have been forgiven for thinking you were watching a replay of the previous year as Spratt once again dominated proceedings from the front. This time it was aboard Matamata visitor Bizzwinkle who had been absent when most were discussing the main chances in the 155thrunning of the time-honoured event. That didn’t bother the Glenn Old-trained five-year-old who fought like a tiger in the home straight to hold out a brave challenge from Duplicity and race favourite Felaar to capture his biggest career win. With the Rip Van Winkle gelding’s large band of owners threatening to tear the grandstand down with the noise they were making after the final result was declared, Old was taking the victory in his stride. “We had faith in him being a real dour stayer,” he said. “We set him for this race last March and Sam just rode him a treat. “He got a nice soft lead and she had him in his rhythm. It was a great result. Spratt was sporting a huge grin as she returned to the winner’s enclosure and was her typically effervescent self when questioned about the ride. “I seem to have had quite a bit of luck with this race,” she said. “It was a great effort as he was just cruising along comfortably in his own rhythm and when the other horse came up to us, he just dug again. The lightly raced Bizzwinkle has now won five of his 18 career starts and over $234,000 in prizemoney. He was a $36,000 purchase from the Henley Park draft at the 2015 Select Yearling Sale at Karaka.